Juventus star Federico Bernardeschi has claimed that they will win the UEFA Champions League within the span of two years after their shock defeat against Ajax last night. Juventus were left shell shocked as Ajax pulled off another upset in the Champions League. The Dutch side, who have already defeated Real Madrid, inflicted a 2-1 defeat on the Old Lady at Turin. After a 1-1 draw at Johan Cryuff Arena, Juventus had the edge because of the away goal, thanks to Cristiano Ronaldo. In the 28th minute, Ronaldo again gave Juventus the edge with a goal, but Van De Beek was quick to equalise before half time. Ajax leader, Matthijs De Ligt, finally scored the winning goal to knock out the Serie A giants. Juventus endured two defeats at the hands of Real Madrid in the last three seasons and two final defeats in 2015 and 2017 in the Champions League. 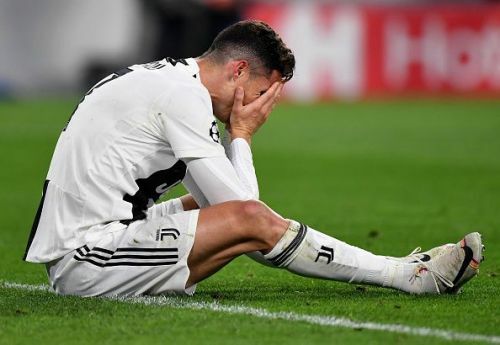 After failing numerous times in their quest for European glory, Juventus spent over €100 million to secure the services of Cristiano Ronaldo from Real Madrid last summer, but even the exploits and impact of Portuguese talisman was evidently not enough. “They are in the Champions League semi-finals, and it is no coincidence, because they have already done well in the Europa League. These teams are made up of strong players, and Ajax have them." Bernardeschi remains confident and claimed that Juventus can win the Champions League within the span of two years. “These are important signals. I think the President built this year, in recent years and will do in future years a project that will win the Champions League." Juventus will face Fiorentina next in the Serie A. Champions League: Will Ajax repeat their heroics from 1995?